Make your lips ultra-kissable with paraben-free, vegan and cruelty-free lip balm that hydrates and soothes. 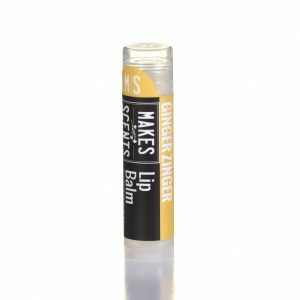 Our Lip Balm is made from all-natural, lip-pampering ingredients including candellila wax, organic sunflower seed oil, cocoa butter, coconut oil, 100% pure essential oils and flavor oils. Not only is it paraben free and free of artificial colors and preservatives, it’s also vegan and cruelty free. No Makes Scents Natural Spa Line products (nor ingredients in our products) are tested on animals. 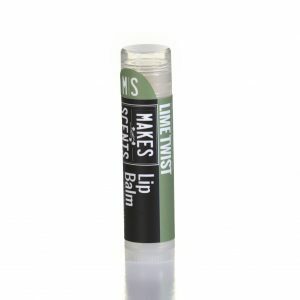 Pamper your lips with our luscious, hydrating, natural Lip Balm. For wholesale spa pricing and information about custom-formulations exclusive to your spa or resort, contact us by phone at 717-824-3094 or by email at Info@MakesScentsSpaLine.com. 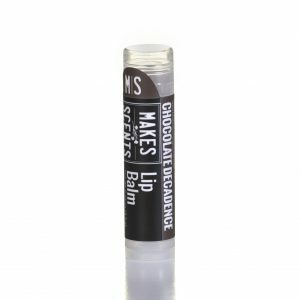 KEY NATURAL INGREDIENTS: COCOA BUTTER, ORGANIC SUNFLOWER OIL, COCONUT OIL, CANDELILLA AND ORGANIC CACAO POWDER. KEY NATURAL INGREDIENTS: ORGANIC SUNFLOWER OIL, COCOA BUTTER, COCONUT OIL, CANDELILLA AND GINGER ESSENTIAL OIL.